Exceptional Pietta craftsmanship, designed specifically for Cowboy Action Shooters. 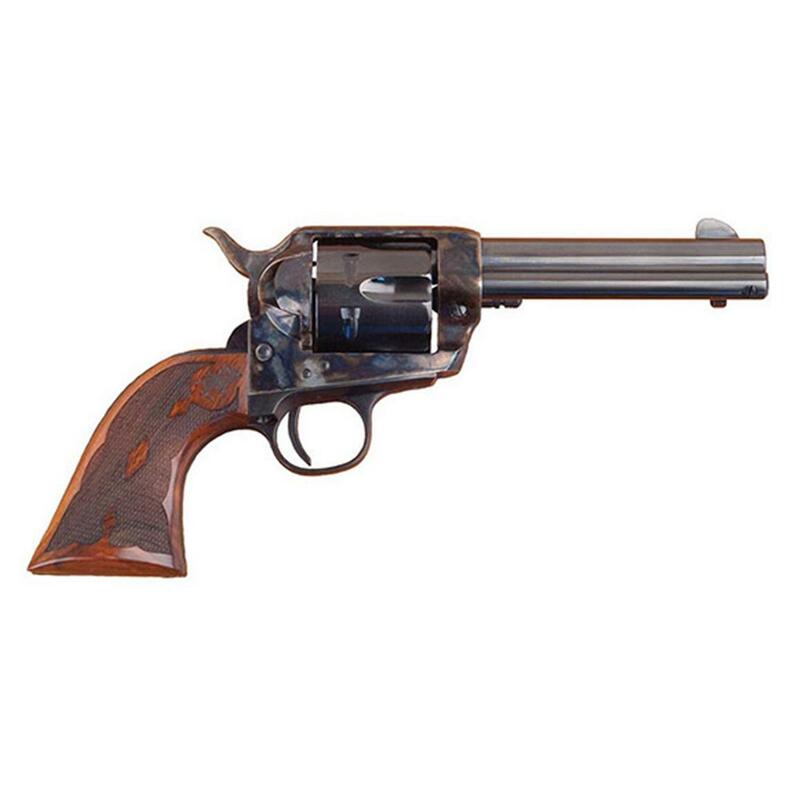 The Pietta Eliminator C (Competition) retains the look of the iconic 1873 SAA, but features a number upgrades to designed to give CAS Shooters a better shot. First and foremost, it features the Cowboy Comp® U.S. Action upgrade that's better-tuned for competition. The Cowboy Comp upgrade replaces the small flat spring (a weakness in the original's design) with a coil spring that doesn't fatigue, and tunes the internal components. All internal surfaces are debarred, the trigger is tuned and adjusted, and the head space and cylinder gap are perfected. The Cowboy Comp upgrade is a Cimarron Firearms Co. exclusive, and can turn any of Cimarron's cartridge revolvers into a fine-tuned, competition-ready firearm. If you're serious about CAS, give it a try. A winning recipe for Cowboy Action! Order today!